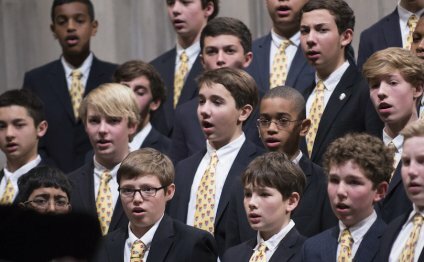 Music Director J. Reilly Lewis, a native of Washington, D.C., began his musical career at the age of eight as a member of the Junior Boy Choir at Washington National Cathedral. He received his bachelor’s degree from Oberlin College and master’s and doctoral degrees from The Juilliard School. In 1985, he was selected as music director of the Cathedral Choral Society. He has presided over many premiere performances at the Cathedral and has conducted the ensemble in appearances at the Kennedy Center, among them include performances of Orff’s Carmina Burana with The Washington Ballet and Handel’s Messiah with the National Symphony Orchestra. He leads the Cathedral Choral Society in nine of its current recordings. One of the world's leading Bach specialists, Dr. Lewis is the founder and music director of the Washington Bach Consort. As a keyboard artist and conductor, he has performed at the Aspen Music Festival, the International Handel and Bach festivals held in Halle and Leipzig, respectively, the Cologne New Music Festival, and in Washington, D.C., with the Smithsonian Chamber Players. Dr. Lewis has performed Bach’s Goldberg Variations in concert many times and given solo organ recitals throughout the United States and abroad. He has been the featured organ soloist on several occasions with the National Symphony Orchestra and has performed Barber’s Toccata Festiva with Leonard Slatkin at a Cathedral Choral Society concert.